To assume responsibility for HR related matters across a specified region within the Service area and to provide a proactive and innovative HR advisory service to NWFRS employees. To assist the Head of Human Resources in fulfilling the objectives of the HR Department and ensuring the delivery of a high quality, efficient and cost effective service. To contribute towards the development and delivery of NWFRS policy and best practice specifically within the HR field and to undertake other projects as may be deemed necessary from time to time. 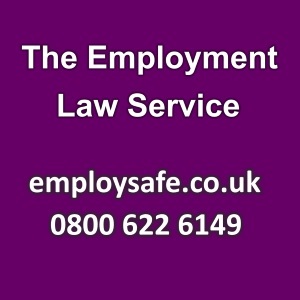 •	Knowledge of employment law and other legislation relevant to HR. •	Previous experience of undertaking attendance management, recruitment and HR project work. •	Previous experience of managing discipline, grievance, capability and other related HR functions. •	Excellent communication, organisation, interpersonal and presentation skills. •	Ability to meet deadlines whilst working under pressure. •	Ability to prioritise own workloads and manage multiple cases concurrently whilst maintaining high standards. •	Excellent ICT skills, including ability to use Microsoft Office and management information systems. •	Satisfactory results to a Basic Level DBS Check. •	Full UK drivers licence with the requirement to travel across North Wales (a service car will be provided). •	Flexibility in order to work out of office hours on a regular basis. Understand the gist of conversations in work. Respond to simple job-related requests and requests for factual information. Ask simple questions and understand simple responses. Express opinions in a limited way as long as the topic is familiar. Understand instructions when simple language is used. The closing date will be strictly adhered to and no exceptions will apply.